Alvin performed on show 347, recorded in October 2017, at age 18. 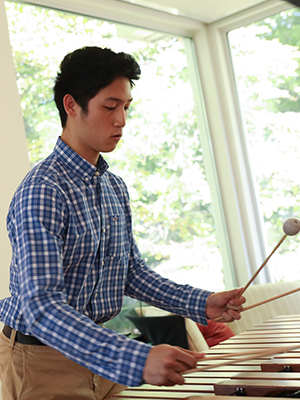 Alvin Chung (marimba), 18, is from Potomac, Maryland, where he graduated from Winston Churchill High School. He now attends Yale University where he currently studies with Sam Um and plans to major in either economics or computer science. His most memorable musical experience was touring Latin America with the National Youth Orchestra of the United States. Outside of music, Alvin enjoys weightlifting, running, jumping, playing badminton, and eating food.